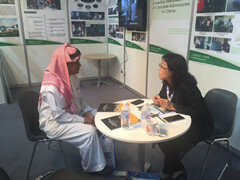 2017 Saudi International Building Materials Exhibition - MUHU (China) Co., Ltd.
March 27 – 30, 2017, MUHU company participated in the Saudi Arabia International Building Materials Exhibition in Saudi Arabia’s largest industrial city of Jeddah.The building materials exhibition coincided with the international oil prices in the doldrums, the Saudi economy held during the weak period. 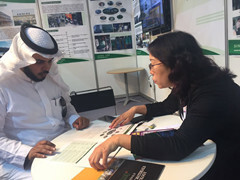 In conversation with the local customers that in recent years, the Saudi construction industry by the economic impact of a lot of shrinking, there are many projects under construction downtime, the King is also short on money. However, most people still have confidence in the future of Saudi Arabia’s economy, that oil prices drop will not be long-term, forever. 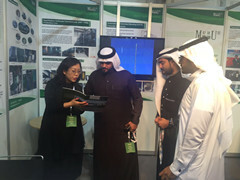 The government is also encouraging companies to build factories in Saudi Arabia, will be more products from imports to self-made. In order to better meet the next economic growth cycle, many builders have prepared their own building materials factory. 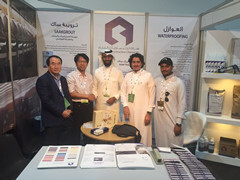 Such as dry mortar, hollow brick, partition board, waterproof material, insulation materials.MUHU company also visited with the customers in-depth communication and understanding. 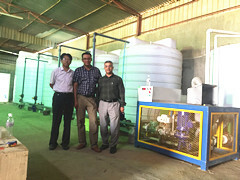 But also about MUHU in 2016 in Jeddah ,Saudi Arabia production of concrete admixtures blending production line was upgraded to achieve the level of automatic control.At the same time with the customer for further communication, the two sides agreed to have further in-depth strategic cooperation, MUHU play a technological advantage, Saudi customers play upon the market advantage, through the occupation of the local market. MUHU, a leading manufacturer of concrete admixtures in China, was established in 1988 in Beijing. 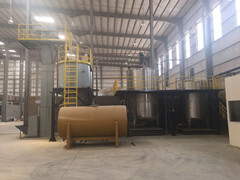 It is specialized in concrete admixture research, manufacturing, and distribution. Copyright 2019. MUHU (China) Construction Materials Co., Ltd. All rights reserved.